This is a popular verse when we write encouragement cards to people. It is a marvelous verse to tweet quickly to one another to assure them that God is aware and God will do something. Moreover, it comes from God’s abundance and generosity. What more could we ask for? If God is for us, who will be against us? 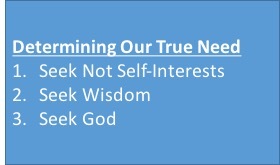 The question for this week is this: What is our true need? Those of us who are familiar with Maslow’s hierarchy of needs will remember the famous pyramid. Based on these, we all have the five levels of need. The first level is physiological where we need to provide food on the table, shelter for the family, and paying for our basic expenses. This is something all of us will understand. With jobs, we get some income to help pay for our housing, our food, our transportation costs, and the basis living expenses. The second level is the need for safety and security. We look not simply for a good house but a good neighbourhood. We do not simply buy food but healthy diets. We travel in a manner that is safe. When I was young, my mother kept telling me about the dangers of riding a motorcycle. Whenever there is an accident involving the two-wheeler, regardless of who is in the right, the motorcyclist will usually end up as the victim. I have known friends who had been seriously injured when they fell out of their bikes for various reasons. To this day, I do not have a motorbike license. I have heard lots of nice stories of people feeling a sense of freedom when they ride on a bike. Not me. With good relationships with others, Level 3 is covered. With a good self-awareness and personal success, one fulfills Level 4. 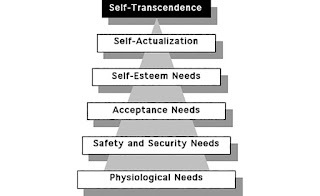 The highest level of all is Level 5: Self-Actualization. People usually see this as the accomplishment of one’s lifelong ambitions. Entrepreneurs call it achieving their deepest passions in their business ideas. Christians call it fulfilling the highest calling. 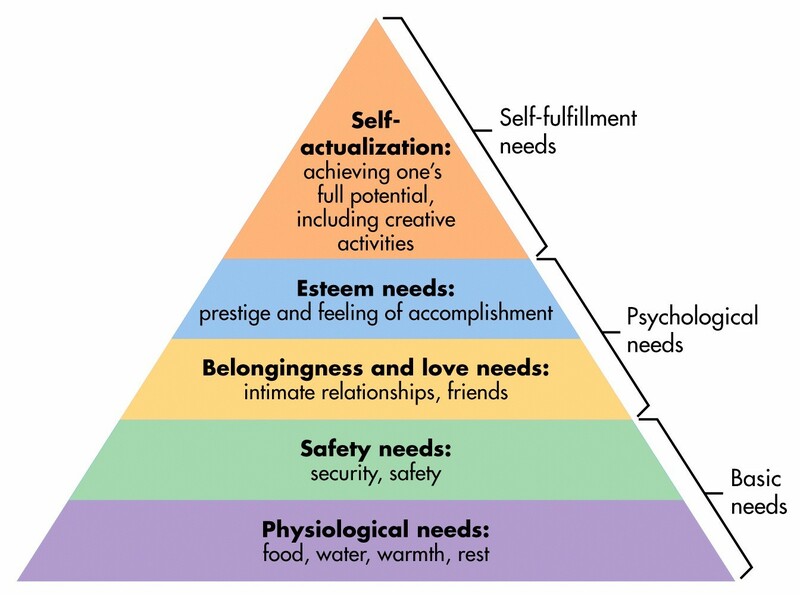 All of these is summed up by Abraham Maslow as “Self-Actualization.” For many years, people have thought that this is the highest level that Maslow had envisioned. Not many people know about a Level 6. 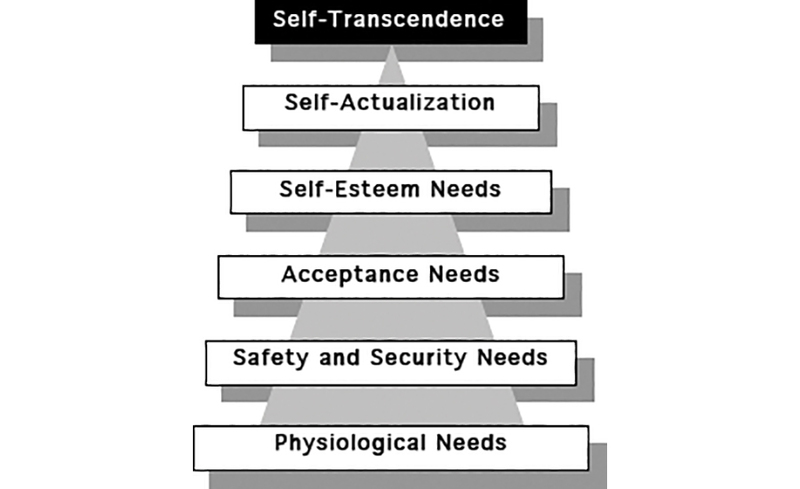 It is a level that is higher than “self-actualization.” Maslow himself toward the end of his life felt that his 5-Level Hierarchy of Needs is deficient because it does not capture the highest level of need for the human being. Just before his death in 1970, Maslow posited a new level called “Transcendence” which is about the need for a person to connect to a divine being, to something far greater than self. While it is important to achieve self-actualization, that alone is inferior to connecting to a Higher Being. Perhaps, it has got to do with Maslow’s growing awareness of mortality, that we cannot take our achievements or our self-actualized successes into the afterlife. Indeed, we learn that it is not about us. 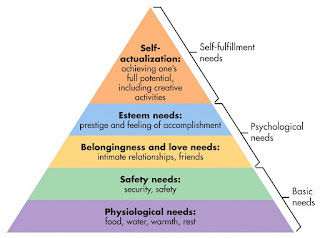 The needs hierarchy maps out nicely the basic paradigms of human living. Yet, what good is it after we die? Connie and Kenneth won a $25 million lottery in 2003. Three months later, their 16-years-old marriage was dissolved. Juan Rodriguez, a New York parking attendant earning about $28000 annually won a $149 million jackpot. His wife came back to him after the win. Ten days later, she filed for divorce, demanded half of the prize money and won! If I may add, people who don't know what they want are prime candidates for others to manipulate. People with a sudden influx of money often do not know what to do with their windfall. If that is the case, why are there so many people just wanting more and more? The second tip is to seek wisdom. There is no greater guide than the Bible itself. The book of Proverbs alone contains lots of wisdom promises with regard to wealth. What good is a lot of money without the corresponding wisdom to manage or steward it? If in doubt, seek wisdom. This is pleasing to God. In tackling the challenge of not approaching God as Santa Claus, we are often taught not to seek God for gifts per se, but for God Himself. Richard Foster gives us a pretty nice way of putting this in perspective. When our truest desire for God matches the greatest needs of people, that is where God's will is.